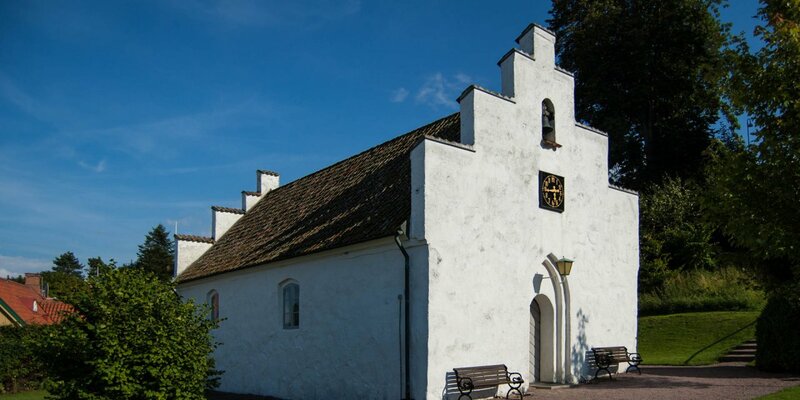 The medieval church Brunnby Kyrka is located in the settlement of Brunnby, near the small coastal village of Arild about 9 kilometres north of Höganäs. 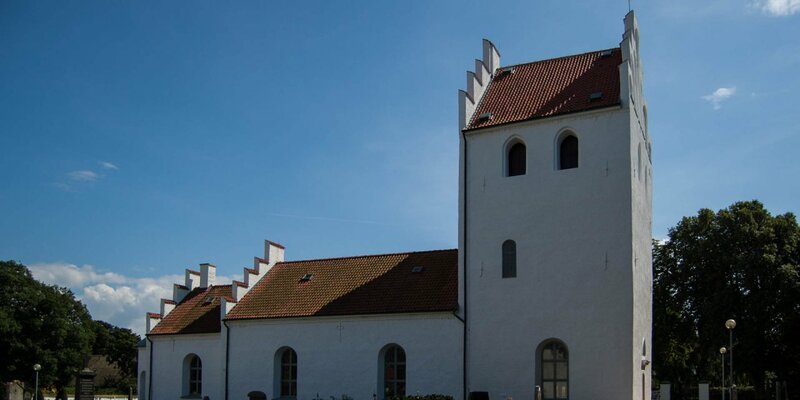 Brunnby Kyrka was built of fieldstone in the late 12th to early 13th century. It is especially well known for its rich and well-preserved frescoes with representations of many saints. 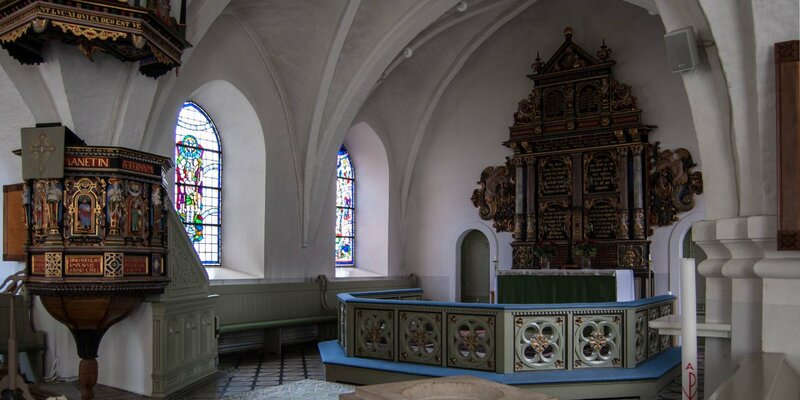 The elaborately painted and decorated pulpit dates back to 1623, the altarpiece is designed in baroque style. As a sign of solidarity the church community to the seafaring, numerous old votive ships hang from the vaults. A very old picture of Mary originates from the Chapel in Arild, a branch of the Brunnby Kyrka. 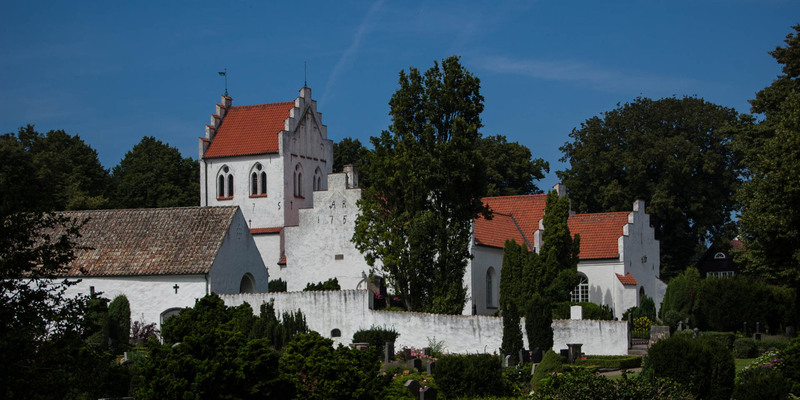 During the 15th century the Church has been extensively expanded and rebuilt thanks to generous donations of Krognos family, the former owners of the manor Krapperup. This included the construction of the church tower, the expansion of the gothic influenced, northern cross arm, the installation of the arch and the decoration of the church with the murals. The southern arm of the cross was attached in 1752 the last remodeling of the church took place in 1912, in which the cross arms were widened and a new choir was added.